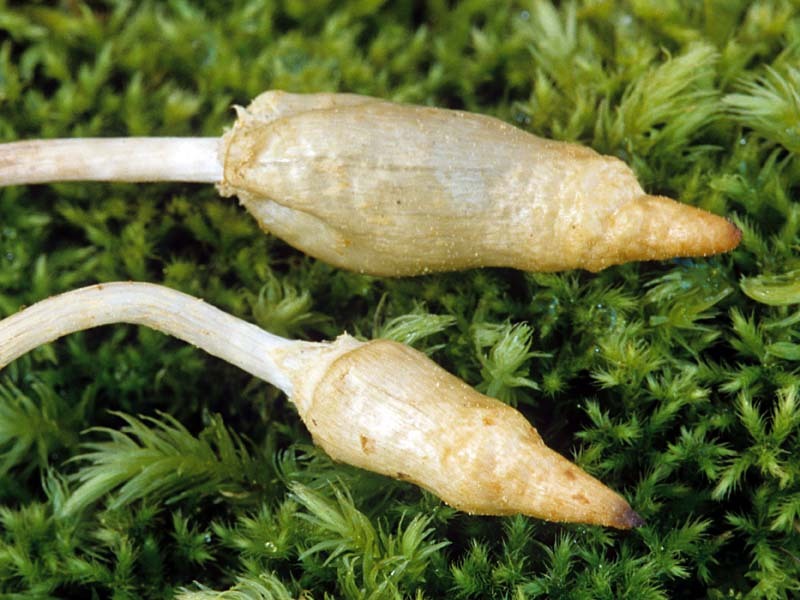 Cap narrowly conic, 1.0-2.5 cm tall, 0.5-1.0 cm broad near margin, the latter often pinched and persistently adherent to the stipe; surface wrinkled, faintly striate, lustrous, cream-buff with scattered tawny-brown squamules concentrated at the margin; in age, cap ochre-buff at disc, cream-grey near margin; context thin, < 1 mm, soft, colored like the cap surface; odor and taste mild. Gills adnexed, relatively narrow, up to 2.0 mm broad, crowded anastomosing, medium-brown to mahogany-brown at maturity. Stipe 3.0-10.0 cm long, 2.0-4.0 cm thick, slender, pliant, straight to slightly sinuous, more or less equal, stuffed at maturity; surface of apex obscurely striate, elsewhere furfuraceous to minutely squamulose, the ornamentation pallid to buff over a darker ground color; context fibrous, medium-brown where cut; partial veil evanescent, squamulose, leaving scattered fragments on the young cap and margin. Spores 11.0-14.0 x 6.5-8.0 µm, elliptical to almond-shaped in face-view, slightly inequilateral in side-view, smooth, moderately thick-walled, truncate at the apex, with a germ pore; hilar appendage distinct; spore print lacking. 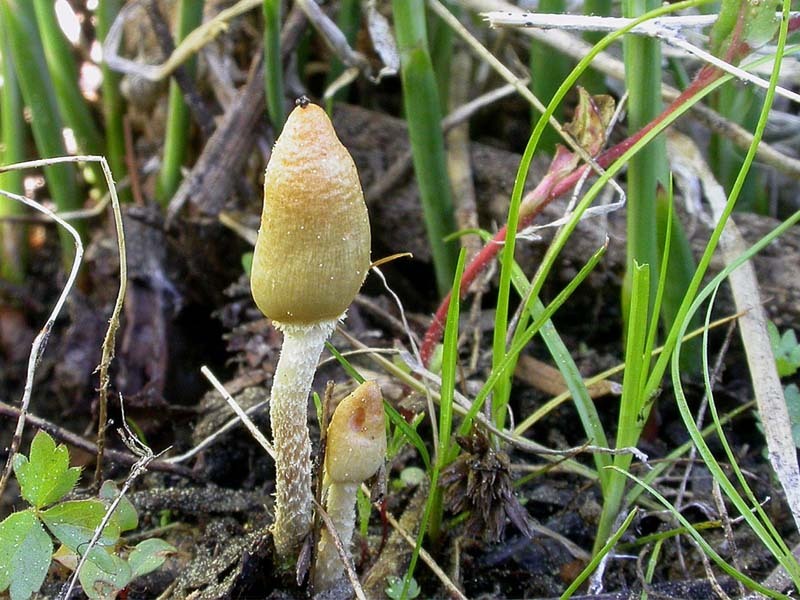 Leratiomyces cucullatus is a small, seldom collected montane mushroom with secotioid development. Typical of secotioid species, the cap usually remains attached to the stipe and the gills anastomose, thus appear deformed. Leratiomyces cucullatus sometimes occurs with Galeropsis polytrichoides, a secotioid cousin. 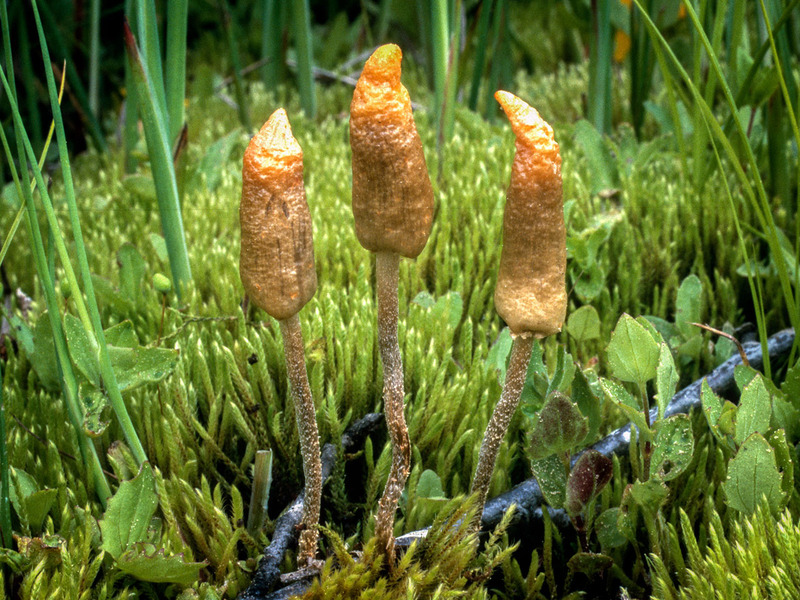 Like Leratiomyces cucullatus it has a cap that resembles a moss spore capsule, in particular, species of the genus Polytrichum. 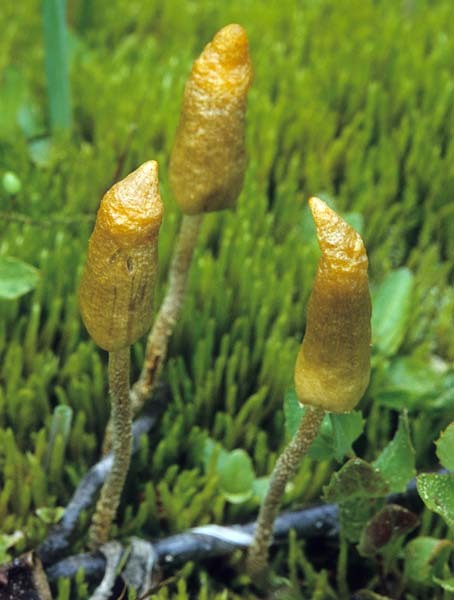 Galeropsis polytrichoides can be distinguished from Leratiomyces cucullatus by a darker brown, more obtuse-conic pileus, and a noticeably fibrillose cap margin. Seaver, F.J. & Shope, P.F. (1935). 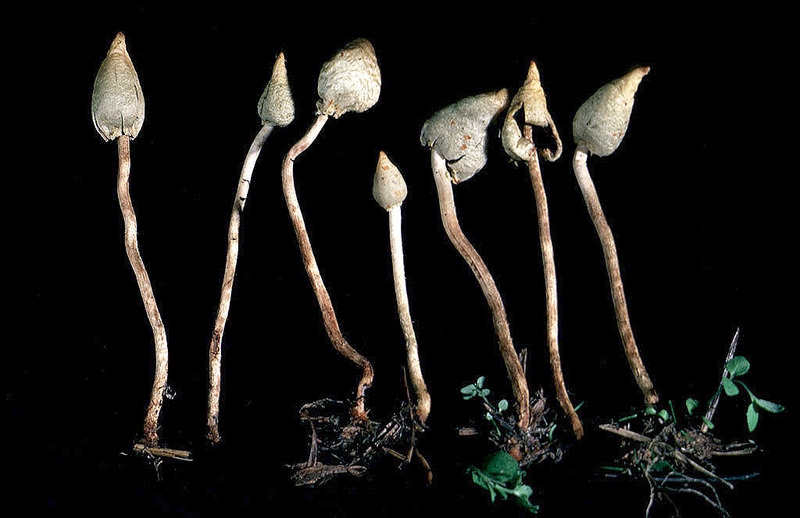 New or Noteworthy Basidiomycetes from the Central Rocky Mountain Region. Mycologia 27: 642-651.